How do you feel about another sunflower photo? This one comes with a bonus bee, so it’s extra-special. I hope you will all find some moments of sunshine and cheer this weekend! What are you looking forward to doing during the next few days? This entry was posted in Botany, Flower, Gardening, Horticulture, Outdoors, Photography, Plant and tagged Alberta, autumn, Bee, Calgary, Canada, community garden, sunflower. Bookmark the permalink. We are ‘looking forward’ to our first cold spell of the winter this weekend with wintry showers and frost. I spent this afternoon putting tubs and pots into the conservatory and the greenhouse. I love the colour of this sunflower! 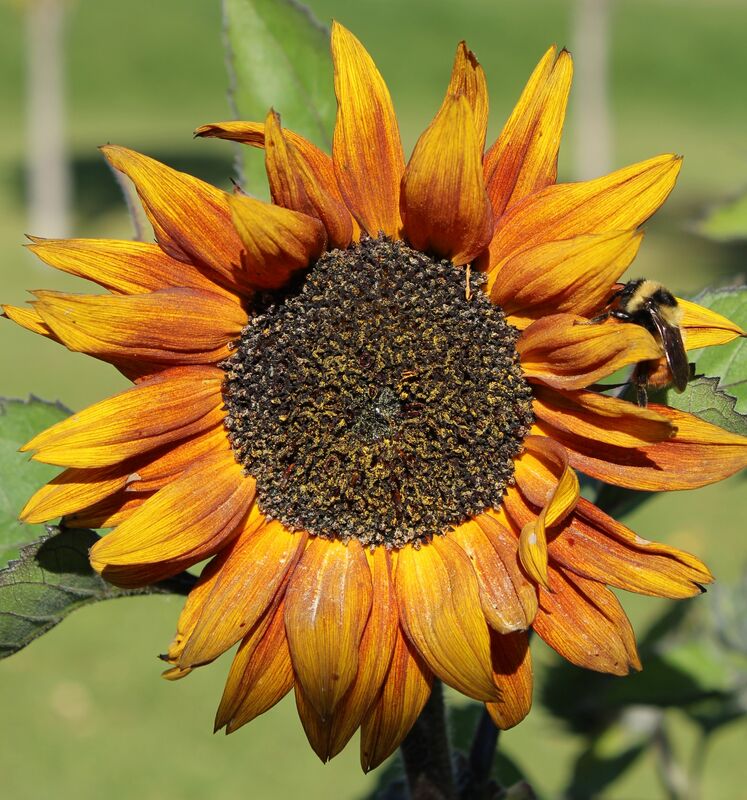 I think I prefer these brown and russet sunflowers to the yellow and gold ones. I hope it hasn’t gotten too cold there, and you’re enjoying your weekend! I do love the reddish-coloured sunflowers as well; very lovely! Thank-you Sheryl. We had a cold snowy weekend last weekend but it is back to rain and gales now! Hope you are having a great weekend too. Reminds me of autumn….It’s autumn now, but it feels like winter….-11C. Have a great weekend, my friend. Hope it’s warmed up there a little so you can go out and enjoy the yard! I haven’t been out the door….still very cold. 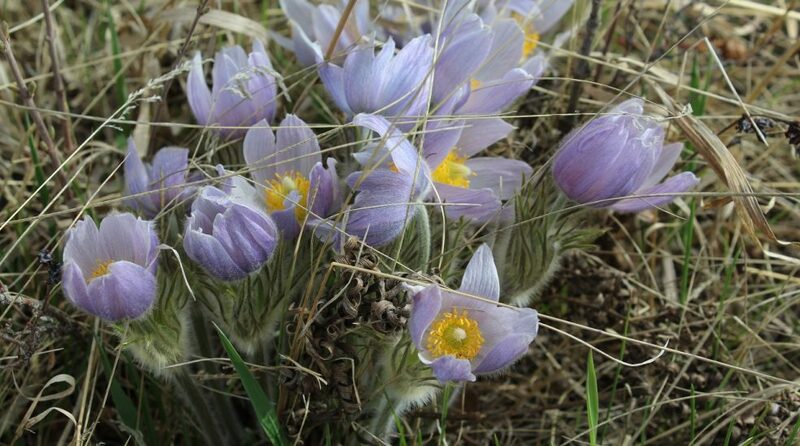 Mom is worrying about her perennials….there is not much snow. The sunflowers are long gone here, too…we’ve had plenty of snow over the past couple of weeks. I was so focused on the flower that I didn’t spot the bee. Nicely captured. I’m still recovering from surgery, but my son is home from college starting today so I’m looking forward to having us all together this week. I hope you had a delightful Thanksgiving, and that you’re feeling better every day! Thank you, Sheryl. We had a quiet day at home, exactly what everyone needed. That sunflower is looking pretty bedraggled, just like all the other leftover growing things this fall! But American Thanksgiving is this week so we have lots of warmth and family and food to look forward to! Have a great week yourself! I hope you had an enjoyable Thanksgiving with your family! Really nice to see an excellent photo of a sunflower clearly past its prime. Well done, Sheryl. Thanks so much, Frank! Still a bit of beauty left in that flower…. Hey Sheryl! Lovely picture for this time of the year. I am trying to get my Christmas shopping finished in the next week as I will have no time in December due to my knee surgery. Have you started your Christmas To-Do’s yet? Thanks, Kathy – we need something to cheer us up when the weather is this nasty, that’s for sure! Heard you got a ton of the white stuff there yesterday…hope you’re staying warm and safe. I was surprised to see a bee that late in the season! I hope you had a wonderful Thanksgiving, Johanna! There can never be too many sunflowers.